From time to time, we’ve provided links to what we reckon is the best beer blog to come out of Melbourne that is going around – “A Great Set of Tipples“. On Thursday night, Back of the Ferry had the good fortune to spend an evening with the solo author of Tipples – Leon. We were on Leon’s home turn of Mebourne and relied upon his choice of venue, and he nailed his selection. Bar Deluxe is one of many great bars in Melbourne that prides itself on its offering of seriously good beer from Melbourne, Victoria, Australia and around the world. The fridges and tap racks are overloaded with beers that at best I’ve read about, but many I’d never seen. 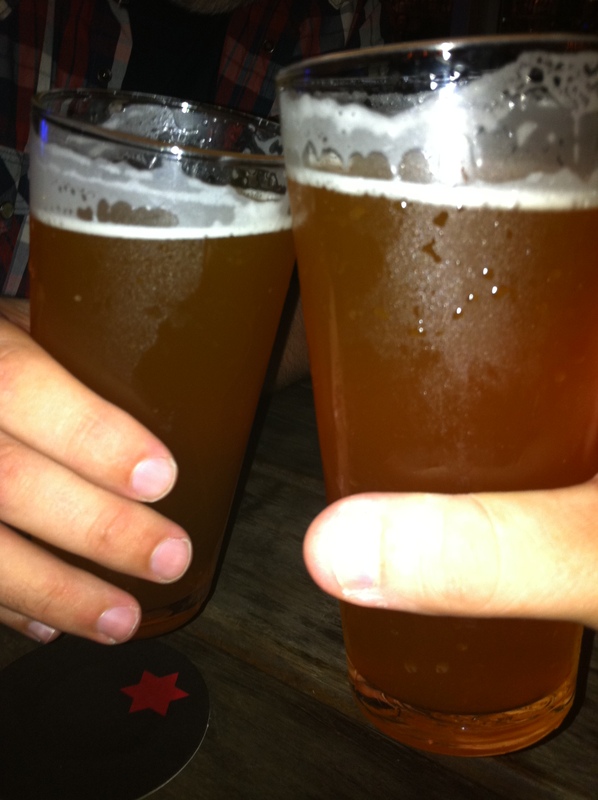 Now Tipples has already updated his blog with a thorough beer by beer reminiscence of the night. He makes notes on his iPhone (a technique I’ve not mastered), which really helps when you cover the territory we did on Thursday and when other events conspire to prevent immediate blogging and the memory becomes hazy. 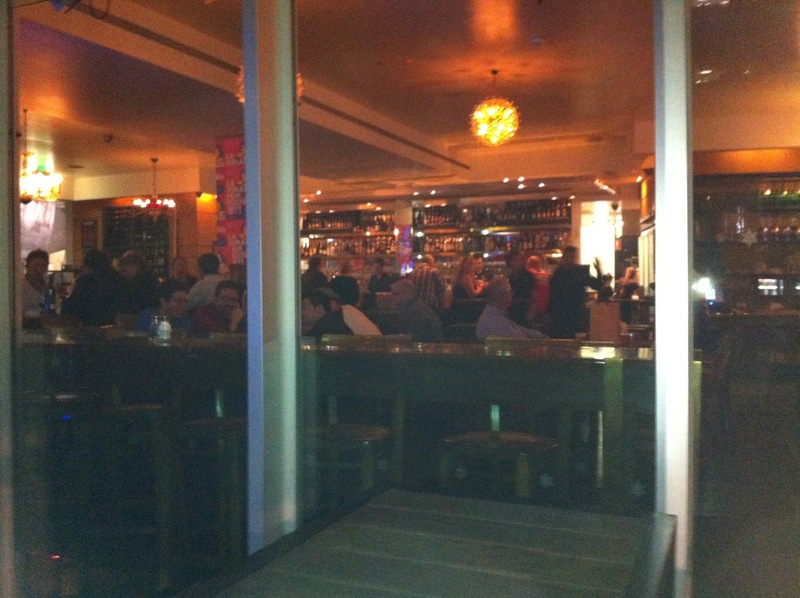 So, check out Tipples’ recollection for a record of what was consumed. Tipples is most generous in his assessment – that I “won” the evening, but Tipples certainly consistently picks well, whereas I was a little up and down. That said, my up was bloody high up and gained Tipples’ highest rating “A Jug Please”. The beer that caused all the commotion is a seriously intense drop called Tokyo*, which is described by its brewer, Brewdog, as an “Intergalactic Fantastic Oak Aged Stout”. Now from time to time, we’ve whinged about the cost of some beers from time to time. I sagged at the knees when the barman told the price of two 275ml tulip glasses filled with Tokyo* from the tap. “This had better be good” as I carried my two glasses of black gold to our table. Thankfully it was even better than that. Due to the use of an iPhone app called @Untappd, I have an idea of how long it takes to drink a beer. Even without the app, I can’t remember the last time it took me 40 minutes to drink a beer. Part of the reason is that it is pretty easy to talk with Tipples, but you just cannot drink this quickly. As Tipples said – “It isn’t sessionable”. The beer’s aroma is a mixture of vinegar and kero. At 18.2% alcohol, this is not surprising – but it is an intimidating sense. The first mouthful (sip) simply paralyses and overwhelms you. All I could do was shake my head in wonder. I’ve never tasted a stout like it. 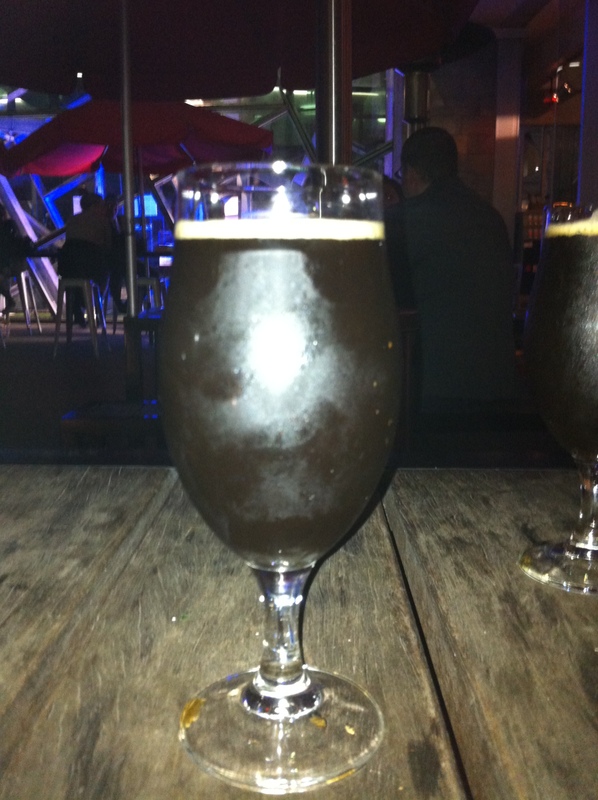 It has the richness of a massive Belgian, with the chocolate of a stout, but it is bigger than either. It was more like a cognac. I immediately wanted a cheese plate to go with this. It is simply one of the greatest beers I’ve ever had and great to get it on tap. 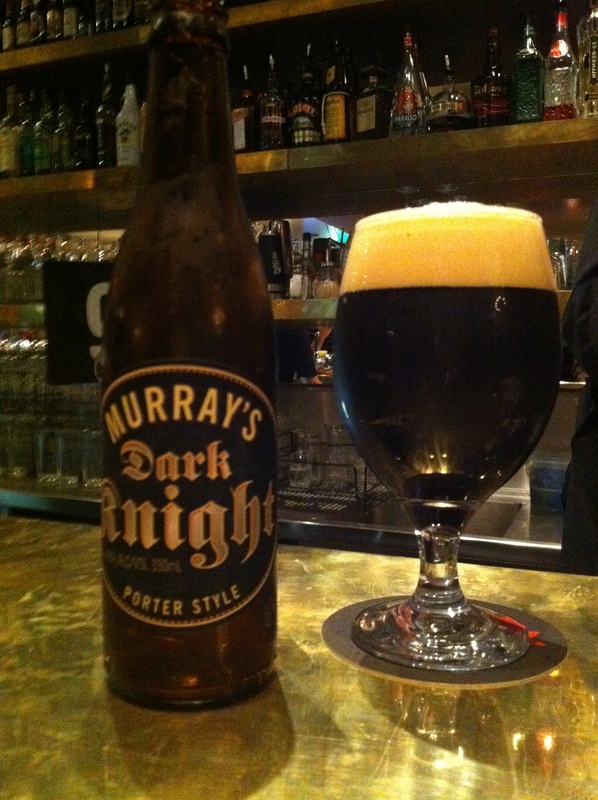 For a sessionable dark beer, you can’t do better than Murray’s Dark Knight, with which I opened proceedings. More info to come on one of Murray’s finest. We look forward to getting Tipples on the Back of the Ferry proper. In the meantime, enjoy his blog and there will be more BotF vists to Melbourne to again enjoy Tipples’ company and discerning choice of bars and beers. Glad you got to try Tokio! I had a go at it a couple months back and was very surprised by its strength. I’ve been considering trying BrewDog’s other two big beers, the Tactical Nuclear Penguin or the Sink the Bismarck. The only thing is, I think you have to plan on losing a night!